This is just like the NFL—attempting to manipulate and profit off an idea that wasn’t even theirs to begin with. 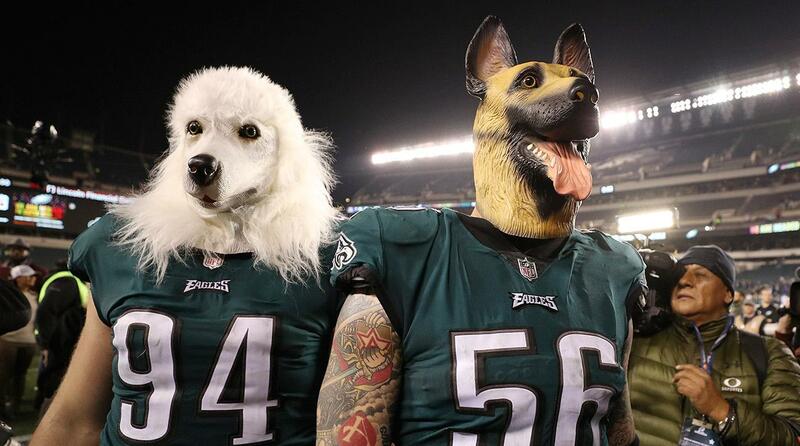 After Philly fans and players filled the stands with a lot of dog masks, embracing their underdog status, the NFL is now trying to profit off the idea as if it was their own. Chris Long, Eagles fans, and other pundits of the NFL blasted the league on social media, daring the NFL to donate the profits of the shirts to charity and not their own pockets. Also, @NFL if you could explain how Chris Long ISN'T the NFL man of the year, that would be great. HE DONATED HIS ENTIRE SALARY FROM THIS SEASON!